Home	/ Musings / Can a few good men make a difference? Can a few good men make a difference? 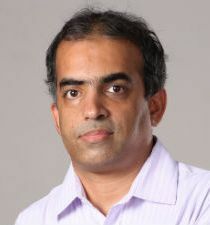 Some years ago, Ashwin Mahesh a friend of mine, returned to India after a distinguished career in the United States. He was highly qualified and relatively young and I was quite puzzled that he gave up so much to come back. Like many others, I viewed his return with skepticism and once asked him why had he come back. His simplistic answer was that he felt compelled by his inner calling. He wanted to engage himself in National Service and use his knowledge and skills for India’s progress. Though I was quite impressed, I was yet unsure how he would actually get involved. For the last many years, he has been totally involved in various social causes apart from teaching in many prestigious institutions here. I was not at all surprised when he recently mentioned that he had decided to become politically active and participate in electoral politics and test the waters in the polls to the Karnataka Legislative Council. He genuinely believes that he can and will make a difference in the political landscape of India and I am impressed with his commitment and seriousness. One can be narrow-minded and view his political intent as misplaced ambition or as a foolhardy adventure. Whatever it maybe, I see it as a ray of hope in an otherwise bleak environment. We have our MLAs electing members to the council and elections in 6 other Graduates and Teacher’s constituency. Going through the list of candidates announced by the major political parties, one can only feel sad at the state of affairs prevailing. The caste, the wealth each candidate has, and the proximity to the decision makers were the key points for consideration for their nomination. Gone are the days when one actually saw ‘Elders’ in the house of Elders. Competence, values and knowledge of Governance and administration are no longer the key attributes that one can expect out of these people. What can one really expect from MLAs who are more comfortable in deciding the State’s fate in posh resorts rather than in the heat and dust of their own constituencies? As one thinks about the present electoral system and looks around, one can easily feel depressed and disillusioned with Democracy in India. How many of us as common citizens do really care about who rule our State or Country? How many of us know and understand the role and responsibility of our elected representatives? Do we know that their principal role is to legislate (make laws and policies), oversee the Executive, and approve the budget for the State? One usually finds a large number of people waiting every morning in front of the legislator’s home to ask for personal favours, negotiate transfers, and seek to peddle influence. How many of us go and advocate with our legislators and parliamentarians issues of social concern? Elections to the State Assembly are less than a year away and we need to understand that the quality of Governance will depend directly on the kind of people we elect. The last major election that Karnataka saw was in 2009, when the Lok Sabha polls were held. We need to look at some of the facts of the 2009 elections and learn from history. According to the Association for Democratic Reforms who have studied and reported on the elections, 427 candidates stood for elections in these 28 constituencies. 47 of these candidates had criminal records against them, while 22% had assets in excess of Rs 1 crore. 6% had declared that they had no assets. At a time when even the Indian Railways have begun to ask for the Income Tax PAN for making reservations, 62% of these candidates did not possess a PAN card. Nationally, 8070 persons contested elections for the 543 parliamentary seats. 15% of them had criminal records, 16% of them had assets more than 1 crore, 3 % had no assets to declare while 62% of them did not have a PAN. Let us look at the facts of Karnataka’s MPs. 9 of them have a criminal record and 5 of these have a serious criminal case against them. 25 out of our 28 MPs are crorepatis. What one also needs to take a serious look at is the fact that no single party in the country got votes anywhere near 50%. One wonders whether we can call our elected members as true representatives of the people! What is more troubling is the performance of our MPs. Leave aside participating in enlightened debates and asking questions, the average attendance in Parliament of these members varies between 40 and 86%. While former Chief Minister Sri H D Kumaraswamy who is now a member of Parliament has the record of being seen in Parliament the least (40% attendance), our present Chief Minister Sri Sadananda Gowda had only 42% attendance when he was the MP. Studies all over the world show that Governance is directly correlated to the kind of people we elect – be it to the Parliament, the Assembly or the Legislative Council. Politics till now was seen as the last resort of good people and one believed that one could get elected only on the virtue of Caste, Cash and Corruption. Of late, Indian politics is also seeing the addition of Cinema and Cricket. But is this necessarily true? Whenever one talks about having good and value-based people in political office, one is told of the experience of the saintly Shivaram Karanth, who suffered a humiliating defeat when he contested elections many years ago. What is the scenario now and is there any hope at all for our State and Country? I believe that the wheels of change has begun to turn and average citizens are now engaging with democracy and are becoming impatient and are no longer satisfied with the status quo. They no longer want to tolerate the incompetence and corruption of the political class. The recent anti-corruption movement has emboldened the masses who are not willing to be mute spectators to the plundering and pillaging of national wealth. They are now asking questions and demanding answers from the system. Many a well-meaning person now wants to take this engagement to the next level and participate in the electoral process as well. The barriers for such people to enter mainstream politics may be many and real, but it does not take away the fact that these people are desirous of change and are no longer willing to sit by the side and wait for change to happen. They are willing to jump on to the battlefield and make change happen. Many a critic can argue and say that their numbers are still a minority and that individually they cannot make a difference. While this may be true for the present, I strongly believe that this is the beginning of a larger wave that is yet to be seen. We cannot wish away the enormous power of a slowly waking young population of this country. They are now seeking to participate and actively contribute to the change that all of us desire. Many highly qualified young men who would have otherwise gone in search of mainstream careers are now willing to consider politics as a serious option. Many have started engaging with mainstream political parties while a few others are considering participating as independents. While individually, many of them may find it difficult to negotiate the complexities of Indian politics, I am confident that the system and the country will win by their mere participation. Let us hope that more and more persons like Ashwin Mahesh with national interests in their hearts come and engage in the electoral process. The least that the rest of us can do is stop complaining that everything around us is dirty and start supporting and encouraging those who want to bring in the much-needed change.